Oh, how I love that skyline and the twinkling lights of the city. Subdued hues of color as the sun sets and day slowly turns to night. 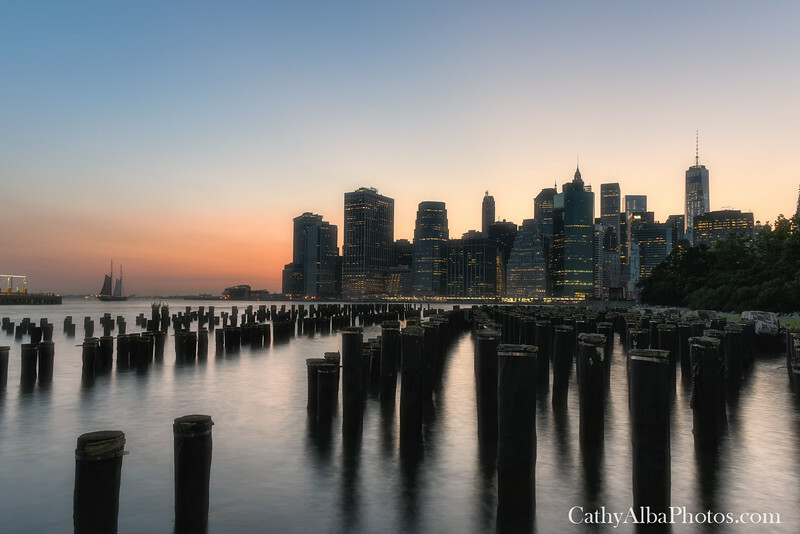 Finally made it to this popular photographers spot with the pylons and a view of the Manhattan Skyline as the sun was setting. What an amazing place to shoot as the light continuously changes.